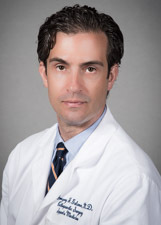 Dr. Galano is a graduate of the Columbia College of Physicians and Surgeons, where he obtained his MD degree. Prior to that, his undergraduate degree was obtained from Johns Hopkins University. He completed his orthopaedic surgery residency at New York Orthopaedic Hospital- Columbia Presbyterian Medical Center. Dr. Galano completed his fellowship in Sports Medicine at the Hospital for Special Surgery, where he served as an assistant team physician to the New York Knicks and St. Johns University. He specializes in arthroscopic surgery of the shoulder, knee, and hip, as well as elbow surgery, shoulder instability, labral tears, rotator cuff tears, total shoulder replacement, anterior cruciate ligament (ACL) tears, and meniscus injuries, as well as fractures and trauma. He has authored numerous scholarly articles, book chapters, and presentations on these areas.